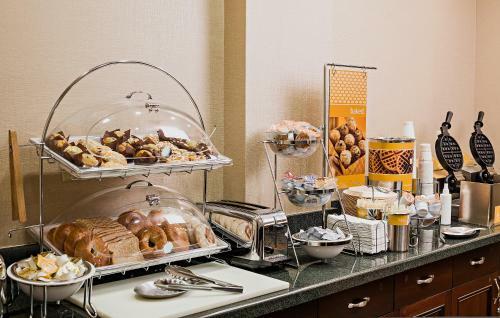 This completely non-smoking hotel in Littleton, New Hampshire offers a free breakfast. 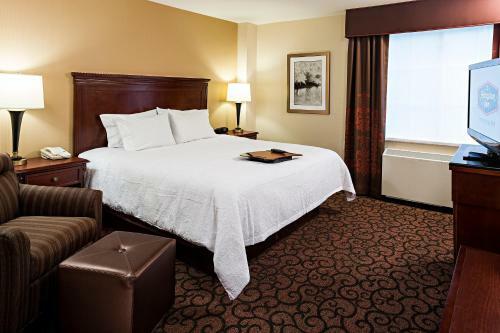 Cannon Mountain Ski Resort and the Franconia Notch State Park are minutes from the hotel. 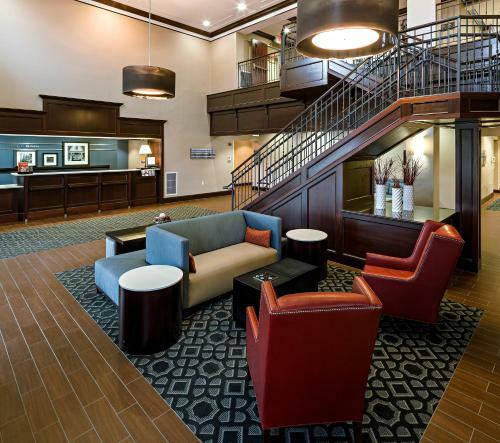 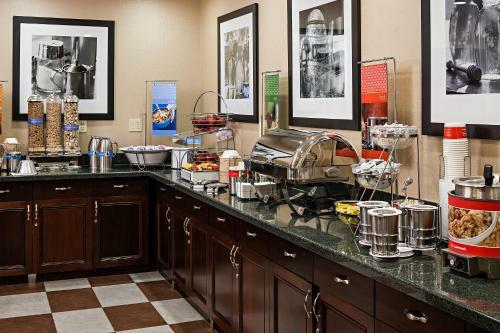 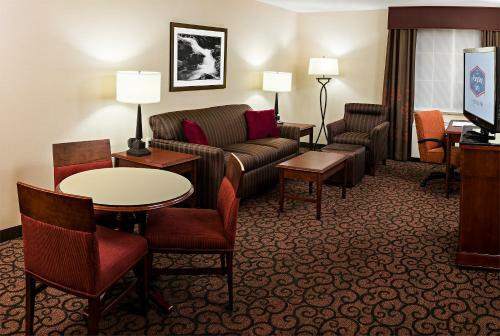 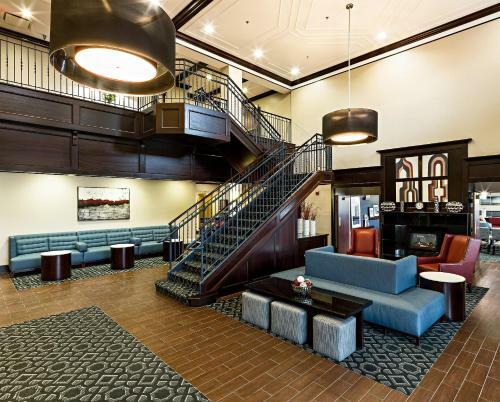 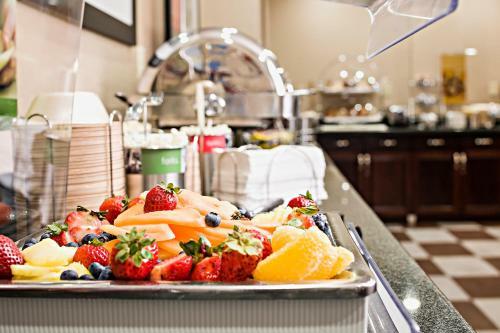 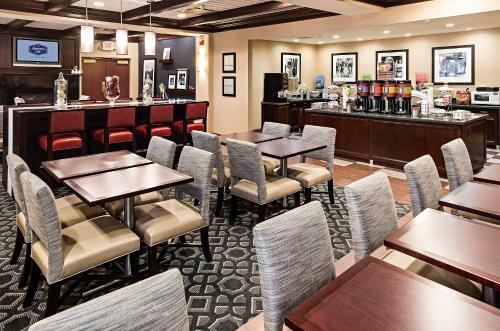 Every spacious room at the Hampton Inn Littleton hotel comes with a coffee maker and free high-speed internet access. 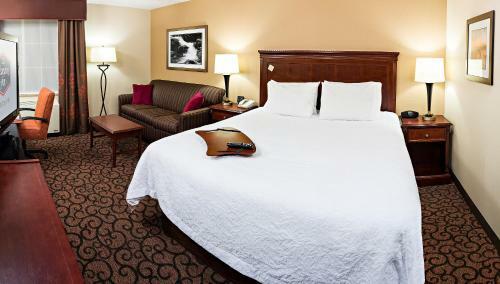 Each room offers cable TV with in-room films and video games. 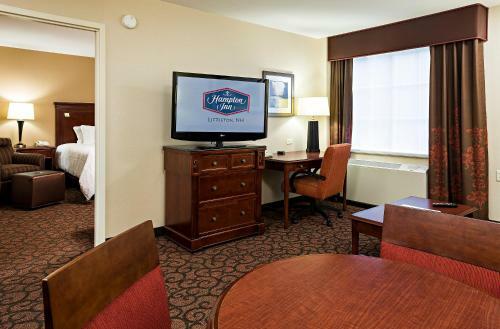 A work desk is included as well. 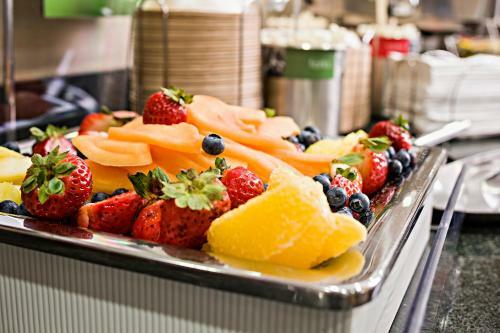 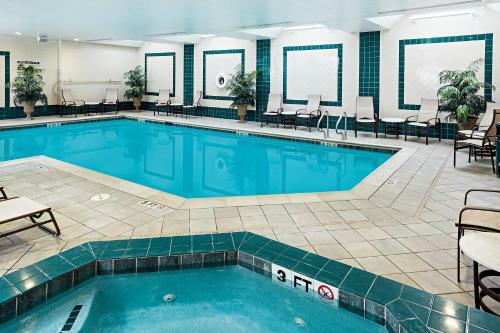 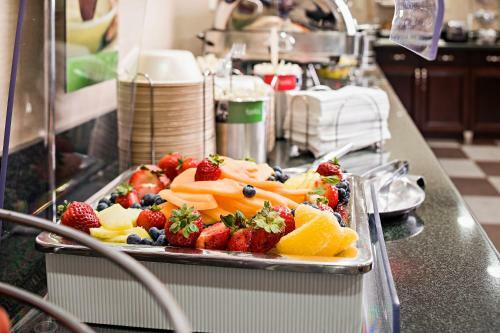 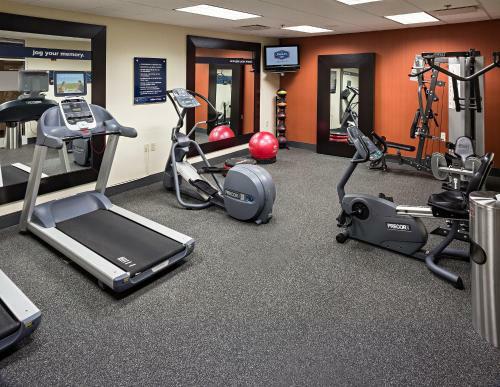 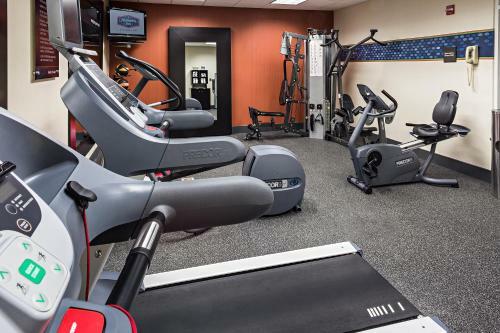 The Littleton Hampton Inn hotel offers an on-site fitness room and indoor pool. 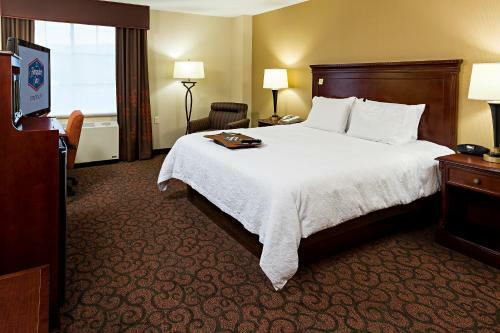 A video arcade and coin laundry facilities are also available on-site. 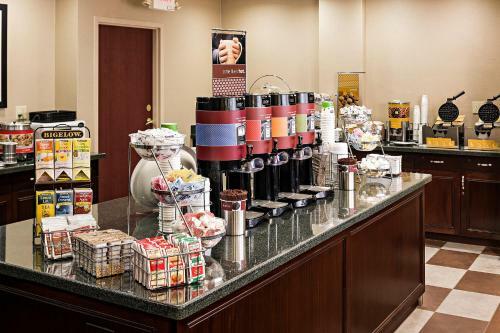 The Littleton Coin Company Corporate Headquarters is just a short drive from the Littleton, New Hampshire Hampton Inn hotel. 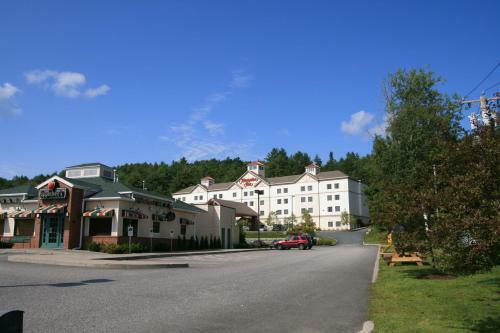 Franconia Notch State Park is also within driving distance of the hotel. 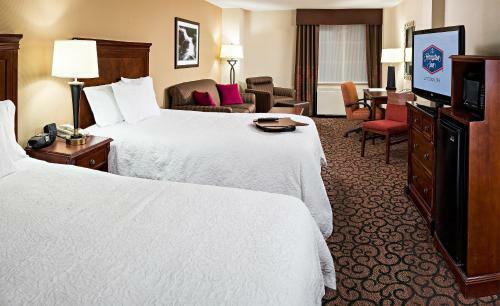 Snowmobile trails and hiking trails are nearby as well. 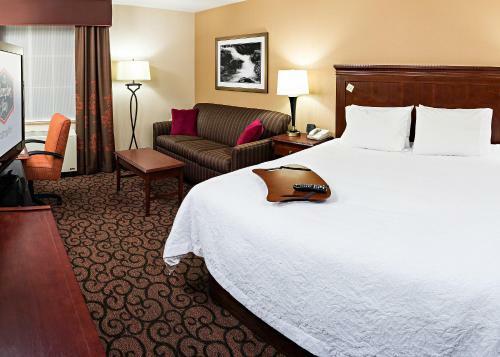 the hotel Hampton Inn Littleton so we can give you detailed rates for the rooms in the desired period.